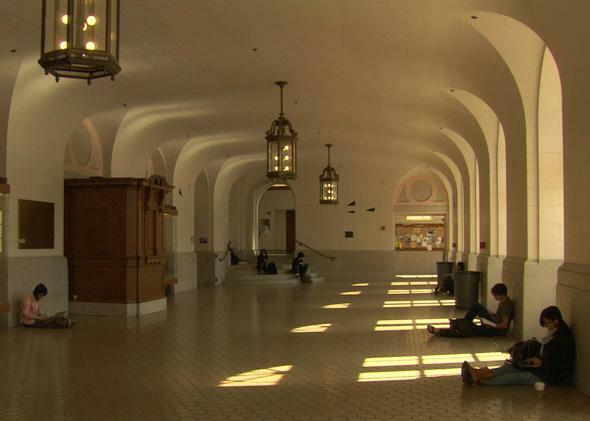 At Berkeley, Frederick Wiseman’s documentary about UC–Berkeley, reviewed. A four-hour documentary about a public university, and not a minute too long. Full (and proud) disclosure: I—like my mother before me, as a matter of fact!—am an alumna of the University of California at Berkeley. I was a Ph.D. student there during a period that sprawled over more than a decade. (Just ask my dissertation advisers.) I worked my way through grad school by teaching in whatever department had work for me, and thus managed to get my degree without accumulating any student debt, which in part accounts for how long it took to finish the damn thing. But in reality, I suspect that I lingered around Berkeley as long as I did, auditing courses and cadging mini-research grants, simply because I loved the place so much. For all its labyrinthine bureaucracy and ever-rising fees, California’s flagship campus was a bastion of great public education, a diverse, (relatively) affordable, egalitarian experiment gone right. In the years since I graduated in 2001, I’ve witnessed the struggles of UC–Berkeley with chagrin: the radical defunding of higher education in California (a problem that’s existed in the UC system for decades, but that’s worsened at a much steeper rate since the budget crisis under Arnold Schwarzenegger) and the subsequent corporatization of the university, which has been forced to raise student fees and cut employee benefits to a degree that threatens both the institution’s excellence and its egalitarianism. With that background in place, you’ll get an idea of the interest with which I approached At Berkeley, the 39th nonfiction feature from the great documentarian Frederick Wiseman. Wiseman, who is now 83 years old, is in a class by himself as a filmmaker: It’s not just that no one else is doing this kind of work as well as him, but that he’s the only one doing it at all. An institutional historian who focuses not on individuals but on systems, Wiseman is sort of the Michel Foucault of documentarians. (See, I told you I went to Berkeley.) He’s interested in the way people living and working together in large groups—a high school, a ballet company, a mental institution, a hospital—establish hierarchies, distribute power, resolve conflicts, and find ways to coexist, or at least survive. Wiseman’s films can be challenging to a first-time viewer because of their formal austerity and rigor (though once you start to understand his cinematic language, a sardonic sense of humor emerges). He uses no voiceovers, subtitles or talking-head interview clips to contextualize what’s happening on screen: His gaze aims for something as close as possible to fly-on-the-wall observation, with everyday crises and moments of tedium unfolding in chunks of real time. At Berkeley is four hours and four minutes long, which will not do much for its already slim chances of walking away with this weekend’s box office. But—while I think it’s perhaps best viewed broken up into two halves, if possible—I wouldn’t lose a minute of At Berkeley. If anything, it made me wish Wiseman had a weekly TV show that monitored the daily life of my alma mater. At Berkeley moves at an unhurried pace, but it’s never less than urgent in its curiosity about the gears that make this huge institution run. Like a prospective student on the most thorough (and least partisan) college tour of all time, we get to go everywhere and eavesdrop all we want. Wiseman’s camera audits a variety of graduate and undergraduate courses, in which students and teachers discuss a poem by John Donne, the design flaws of a pair of prosthetic legs, the future of space travel, and, in more than one class, the impact of the latest spate of budget cuts and fee increases on their own educations and lives. We drop in on board-room discussions—some of them contentious—among the university’s top administrators, including the chancellor, Robert Birgeneau, who left the office in mid-2013. (He’s never identified onscreen, but it doesn’t take long to figure out that he’s the big cheese). Wiseman shows us workers laying asphalt, a custodian sweeping the stairs, a greens worker riding a mower across one of the campus’ endless sloping lawns. (We’ll learn in one of those board meetings that, thanks to staff cuts, there’s just one guy who mows the whole place.) Along the way there are fascinating detours into scholarship of all kinds: A grad student remotely operates a state-of-the-art robot as it struggles to fold a towel. The linguist George Lakoff leads a legitimately mind-blowing classroom discussion about the human inability to conceive of time outside spatial terms. Robert Reich, Clinton’s secretary of labor-turned-public policy professor, gives an equally impressive, if more pragmatic, lecture that stresses the difficulty of resolving conflict among large groups of people with discordant and often unspoken aims—a topic that, in one of those found resonances so common in Wiseman’s work, has everything to do with the conflict between students and administrators that occupies most of At Berkeley’s last hour. In October of 2010, a year after a large student and faculty protest that nearly shut down the campus, a few hundred Berkeley students staged a march through the campus to the main library, where they occupied a large reading room for several hours, making speeches and issuing lists of demands with the passion, enthusiasm, and lack of coherence that only young lefties can muster. * Wiseman traces this whole affair dispassionately over the course of a day, cross-cutting between the protest in progress and the reaction in the chancellor’s office, which has mostly to do with the nuts and bolts of security and crowd control: Should the head librarian shut down the library before its normal closing time? Are there enough campus police in place if the protest should turn violent? We’re encouraged to identify neither with the students’ half-baked radical rhetoric—one kid has a red hammer-and-sickle painted on his face, which is just not a good look for 2013—nor with the administrators’ vaguely paternalistic dismissal of the protesters’ often valid outrage. Instead we see the protest and its management as two connected parts of the ecosystem of a functioning, if imperfect, democratic institution. One of the sharper student activists, in a rabble-rousing speech in front of Sproul Hall, invokes the name of Mario Savio, a leader of the Free Speech Movement that got its start on those same steps in the early ’60s and jump-started student protest around the country. How much, the speaker asks, did students in Savio’s time have to pay to be part of this great public institution, one that’s now struggling to remain both truly public and truly great? Answer: nothing. It’s a rare Wiseman moment in which the filmmaker’s own deeply held belief seems to flicker into view beneath the speaker’s words: Education, like speech, should be free.